Other Cloud Integration reviews by real, verified users. Find unbiased ratings on user satisfaction, features, and price based on the most reviews available anywhere. 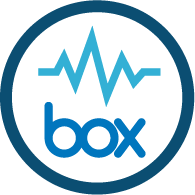 Box.com Amped integrates salesforce and Box.com, and is designed to allow users to associate any salesforce record to any box folder. Akruto Inc. is an automatic, cloudless, seamless tool designed to sync Outlook calendars, contacts, tasks and notes with multiple iPhone, Windows Phone and Android devices. Conexio synchronizes calendars. Thanks to 2-way synchronization all modifications appear in all calendars. Google, Odoo and O365 (Office 365), Outlook.com, MS Exchange server, Hotmail,… are included, soon more applications will be added. The setup is easy: login, authenticate and you can start synchronizing right away. 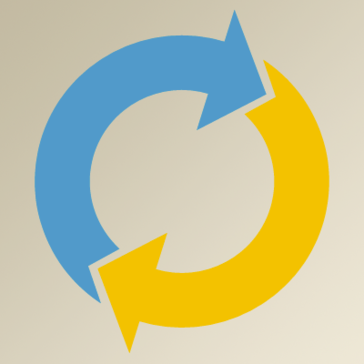 You can manage the direction of the synchronization (to avoid cluttering agendas). ION provides the flexibility you need to make an often complex web of enterprise systems work together and the long-term sustainability to optimize return on technology investments. With ION, one application can be upgraded, replaced, or even fail without taking the entire network down. Information is accessible in real-time. Yathit is a Chrome extension designed to integrate SugarCRM/SuiteCRM with Google apps. Agile Data Suite (ADS) is a data integration and management application that enables enterprisestandardized data usage. It ensures that definitions, mapping, modeling and data traceability occur across business and technical environments. This multiperspective integration model aligns the disconnected architectures of business, technical and data management. CyrusOne data centers can deliver flexible, cloud-connectivity services seamlessly and immediately through a single port. Authora's Encrypted Data Gateway Engine is a fully interoperable OpenPGP-compliant Command Line that runs on most Unix platforms, including Linux, FreeBSD, Solaris, IBM zOS, Mac OS X. High Speed Guard - Secure Data Transfer. Ensures secure automated data transfer between multiple networks with the industry's fastest transfer rates. HyAlto makes it simple to buy, manage, customize, brand and track usage for cloud services. Metercloud allows utilities to manage the data flow for utilities. Prebuilt Metercloud integrations and connectors, and connect new software solutions. A secure dashboard allowing you to connect and view your business data and statistics. ONEDOT uses artificial intelligence to radically improve data quality, automatically cleaning, categorizing and integrating product data. Unlike traditional rule-based ETL or scripting tools, organisations choose ONEDOT's data preparation service because it’s capable of adapting to changes on the fly and constantly learns from business expert feedback. OpenChannel is a ecosystem management solution designed to make it easy to build an app store into any product, website or mobile app, allowing users to accept and manage app submissions from their developers and then integrate and deliver apps to their end users. PDC Gateway is an interface platform specifically designed to interface time collection devices and software to SAP or other systems. Redapt is a full-service systems integrator that delivers innovative data center infrastructure and cloud solutions to meet business goals. SwiftTA enables Network Service Providers to extend their reach into new geographies in the most cost-effective way. SwiftTA is a powerful File-Based and Live Transcoding service with the advantage of managing your transcoding work within the safety of your own infrastructure without compromising performance. Hi there! Can I help you find the best Other Cloud Integration solutions?